TAGE INGVARD DAVIDSEN age 89 of Cardston, Alberta, passed away peacefully at home Monday, January 28, 2019. He will be dearly missed by Urzula, his wife of almost 64 years and his seven children, Kelwood (Cori), Eugene (Cheryl), Glenn (Tracey), Leon (Louise), Nolan (Marilyn), Karlo, and Valena, as well as 25 grandchildren, 32 great-grandchildren and even more that called him grandpa. He was predeceased by his great-grandson, Bentley Davidsen. Tage was born April 3, 1929, in Aarhus, Denmark, the seventh child of Ingvard and Ane Nielsen. He was always a hard worker and of all the jobs he had, he loved working at the post office the most. Tage always said that one of the best decision he ever made was to join The Church of Jesus Christ of Latter-day Saints. His desire to be where the church was strong brought him to Canada. At age nineteen he immigrated to Magrath, Alberta, before serving a mission for the church in Eastern Canada. He married his "honey dear," Urzula Stewart March 30, 1955, in the Cardston, Alberta, Temple and they settled in Calgary. With the successful business, Tage Davidsen Drywall Supplies provided employment opportunity for many. He loved to serve in the church with the highlight being his service in the temple with Urzula. 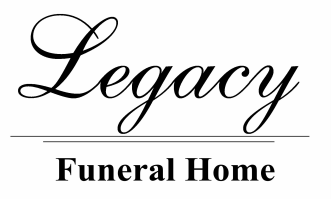 Friends may meet the family on Friday, February 1, 2019 from 7:00 - 8:00 pm at the Legacy Funeral Home, 107 - 6 Street West, Cardston, or prior to the service on Saturday, February 2, 2019 from 9:00 - 9:45 am. The Funeral Service will be held at 10:00 am in The Church of Jesus Christ of Latter-day Saints, Cardston Alberta West Stake Center, 846 1 Ave West. Send your memories to by CLICKING HERE.